I’ve dedicated this essay to students who are determined to conquer Russian grammar once and for all. 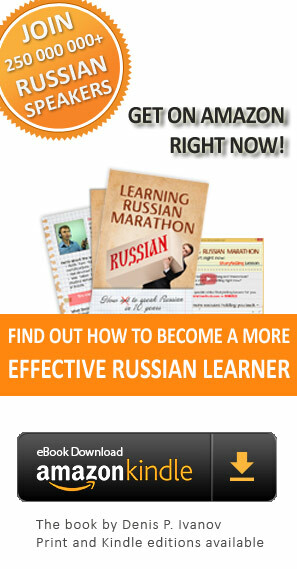 Let’s start with a question: how confident are you that you can become a fluent Russian speaker? Maybe you’re good at learning languages or extremely motivated? Do you dream of reading Dostoevsky, Tolstoy and Chekhov in the original? That’s great. But how easy is it to master Russian grammar? That’s the thing...you’ll never be able to memorize everything. Russian grammar is too complicated and difficult to reduce to a collection of rules and tables. Of course, there are also a lot of myths out there about Russian. 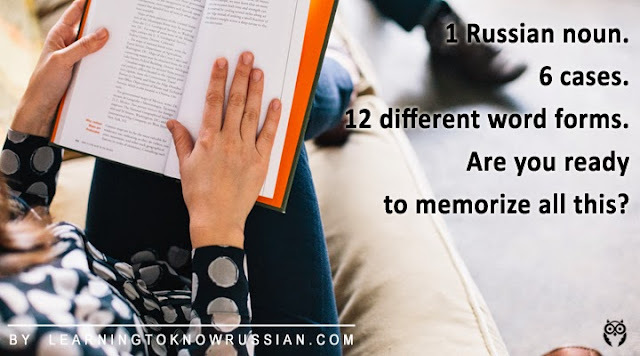 For the most part, you hear them from people who never studied Russian or who had a bad experience with the language. I’m not interested, though, in discussing or refuting myths. 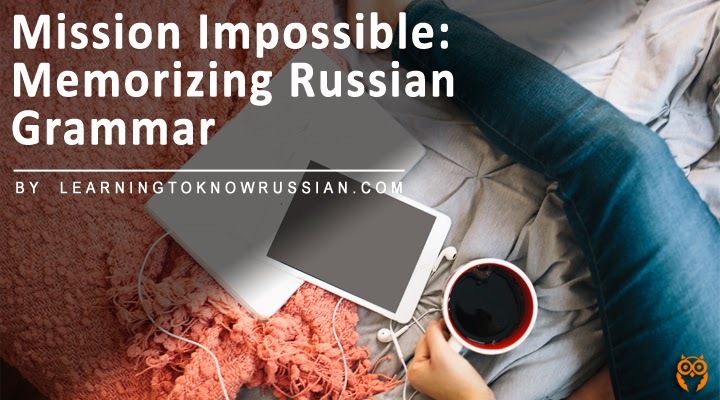 I just want you to have an accurate understanding of the challenges you’ll face in learning Russian. There aren’t any easy solutions, but I do have a little bit of good news. When it comes to Russian grammar, there are only three major roadblocks to watch for. Russian is famous for its cases. If your native language already uses cases, that should make things easier for you. But beware! Russian has six cases and trying to memorize them all is a nightmare. Even if you are good at memorizing a lot of rules, it may not translate to conversation. It’s almost impossible to juggle 15-20 different rules in your head while talking to someone. For example, think about the first word that comes out of a baby’s mouth: мама (mama). Sounds like an easy word, right? But ask the baby who he sees and he’ll say маму. After that, he might reach his hands out to his маме or turn away from мамы. But when she walks in the room, it’s his мама again. As we all know, little kids are able to pick up a language very quickly. But there are reasons for that and they definitely don’t do it by studying a textbook. Oh, and I forgot to mention that instead of learning 6 forms for each word, you really need to know 12. Don’t forget the plural! Still excited about learning Russian? Good, because that’s just the first roadblock! Russian verbs are next. Verbs are no walk in the park, especially when it comes to conjugation. Take the verb ответчать (to answer). Отвечать is used to describe a repeated action. When you want to talk about a single answer in the past or future answer, you need to use ответить. In other words, each action requires two different verb forms. So how are these verb forms created? Please make sure you keep it all straight, especially the proper endings! Russian verbs have lots and lots of different endings. Still hoping to read Dostoyevsky in the original? Good for you! 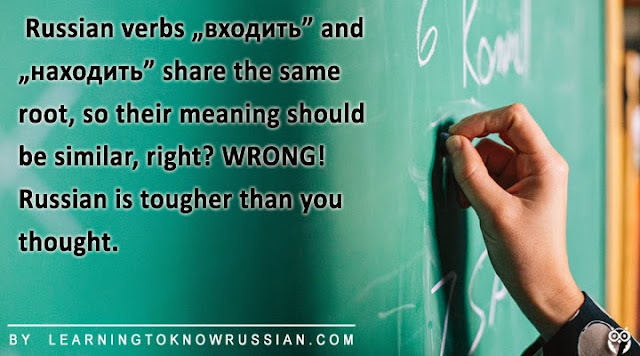 Russian isn’t easy, but it’s worth the effort! Last but not least, there are an enormous amount of “related” verbs that have one root, but very different meanings. The verb ходить (to walk) is an excellent example. You could also add находить (to find) to this list. It has a totally different meaning from ходить, but shares the same root. Thoughtful comment from our reader: "I would comment about "ходить" and "находить". [...] they share the same root for a reason, so instead of blindly saying they are totally different you actually need to develop some understanding - "ходить" is to walk, "на" is on/onto - how do you find things? You walk and step/bump onto (into them); the relation must be as clear as day! Of course the meaning seems distant, but use your imagination and manage to see the connection - that's your key to feeling the language. Another example: The word "необходимый" - if you check its meaning in the dictionary you find "necessary" (quite far from "ход" - walking, isn't it?). But look deeper: "обходить" means "to go around", which can also be "avoid". "Не" - is negation - so anything which you can't go/avoid without is necessary". During conversations, you’ll need to quickly recall what each of these verbs means, or risk not understanding what your friend is saying. How do you do it? It’s easy to find textbooks that will offer you lots and lots of tables and rules for you to memorize. But it truly is impossible to beat grammar with rules. Algorithms and tables won’t teach you how to speak fluently. Now, If you’re someone who loves to memorize, the rules might help you with your writing. When you write, you have more time to think and correct mistakes. It can even be a fun mental exercise for the brain. But conversations are very different. Think about your native language. There’s very little time between thinking something and saying it. While you listen to your friend’s response, you quickly think of an answer and reply. You don’t spend time thinking about the case, the verb form, or the adjectives. If all you know are rules and tables, it’ll take too long to remember everything and you’ll end up with your mouth shut most of the day, too afraid to contribute to conversation. What am I trying to say? Blind memorization isn’t going to help you. It doesn’t during conversation. What should you do? There has to be some sort of solution, right? Unfortunately, there are no Russian grammar hacks that will magically fix your problems, at least not that I know of. If you know of something, let me know and I’ll share it immediately. But just because there isn’t an easy fix doesn’t mean that learning Russian grammar can’t be enjoyable. Exposure - exposing yourself to proper Russian grammar in written and oral form as much as possible in order to soak up the language, rather than blindly memorize the rules. Focus on and remember language constructions, rather than individual words. By constructions, I mean groups of words and phrases that you can use in your speech. Almost everything we say consists of constructions. If you want to put my advice into practice, watch this short 4 minute video. I'm sure you’ll find it very useful. One more thing - have you ever noticed how beginners sometimes begin speaking almost fluently when they’re under a lot of stress or in danger? It seems like magic. People are suddenly able to say and understand much more than they ever thought possible. How does it work? Have you ever had something like this happen to you? I’d love to hear your stories or thoughts in the comments!